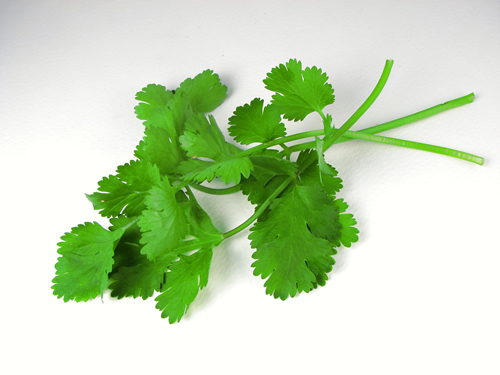 Comments Off on What’s Your Cilantro? What is it that attracts you – no matter what? On a restaurant menu for me, it’s cilantro. I will pretty much order any dish that advertises cilantro. When it comes to work, it’s the freedom to create a schedule that helps me live my best life. Let me be clear – I am not a slacker. I love my work and can often be found thinking about my clients and working at late and odd hours. But I believe that I am even better at my work when I can craft my time around the people and things that matter in my life. I was first introduced to the 4-day workweek in the 1970’s while working as a summer employee in Yellowstone Park. A progressive policy that attracted 5,000 workers each May through August allowed me to work at the Travel and Information Desk for 4 long days and then to backpack in the Tetons, whitewater raft on the Snake River or party in Jackson Hole for the next 3. I was quickly indoctrinated into the work hard/play hard mentality and fell in love with intense periods of work interrupted by quality leisure time. And perhaps MORE leisure time than what the world was generally offering me. During college, I got 6 credits for attending a summer program at Cambridge University where we took classes from Monday through Thursday and then traveled through the UK and France on our long weekends. After I had been working for several years and recently married, my husband took a job halfway across the country and I became the trailing spouse. Seizing the day, I announced that I would be taking the summer off to ‘set up our house’ and perhaps enjoy the pool in our new neighborhood (ok, a bit of slacking was planned here). But my plan was dashed when a headhunter called with a job opening. I quickly declined until I heard the magic words “the entire plant works a 4 day work week.” I started the job on June 13 and stayed for 22 years. When peak workloads presented themselves during mergers and restructurings, I learned to volunteer to work full-time before I was asked, and then return to 4 days when things settled down. My kids got older and went to school. I did not give up the arrangement. I called it ‘the civilized life.’ It allowed me to look outside of the tunnel that we all live in by necessity when we have demanding jobs and families. It made me a more focused, rested and creative worker for my corporation. And, I pretty much did the same job I did while working 5 days – so I was saving them money – 20% less on salary, bonus and benefits. During this time a headhunter could never even come close to offering me greener grass. I was thrilled with my job and my schedule. It was a win/win – for the company and for me. A few years ago, changes at the company required me to return to a full-time schedule. While the 4-day week was never a conscious focus of career planning, it seemed like it was finally time and I began making plans for an exit. A year ago, I started my own business. And guess what? The work schedule at Severino Consulting is perfect for me! (my boss is awesome). So what is your cilantro? What is your four-day week? What is important to you that will keep you fresh and centered on your values? How can you build or re-build it into your career? 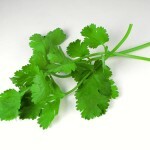 What is one baby step you can take in the next 48 hours to move toward your cilantro? If you lead others, think about your best people. How can you help them craft a situation that makes them ignore headhunters and keep on growing with your organization?